The resources that are now available to parents to empower them to make the best decisions in the treatment of their heart warriors has grown significantly in recent years. However, for many families, it is still not enough. Their children may present particularly complicated anatomies, or perhaps would benefit from new technologies that are only available at certain hospitals. Further, while where a surgery takes place- the quality of the Operating Room, 24-hour staffing, dedicated Cardiovascular ICU, etc.- does matter, who is actually performing the surgery matters, in our estimation, more. And thus far, there is no systematic way to identify the best individual surgeon for your child. 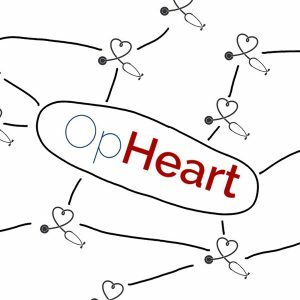 OpHeart is working to change that, and is starting with a simple question posed to the right people that gets to the heart of what every parent wants to know- if it were your child, where would you go? Until we can systematize our method, we offer all CHD families access to our network of pediatric cardiac specialists at the nation’s top hospitals, who will review your baby’s case and provide a referral. Contact Us if you are in need of S.O.S.